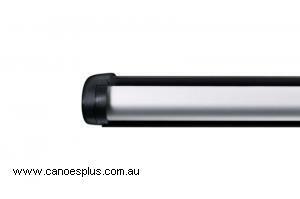 Elegant and durable aluminium load bars with a T-Track for easy fitting of load accessories. All Thule's aero bars are equipped with t-tracks - an ingenious feature with great benefits. Load accessories are easily slided in place into the track. The full length of the load bar can be used, making more space for attaching several accessories.